What would a HoboSailor do? 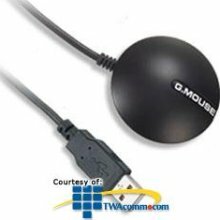 Step Two: Buy one of these awesome GPS antennas that plug into your computers USB port. Step Three: Download all of the US charts from NOAA for FREE. Your Tax dollars paid for them! How awesome of NOAA to allow us to download charts!! The USB antenna will be plug and play. SeaClear provides instructions for how to install the charts. It's pretty easy. Look through the SeaClear user manual for the keyboard shortcuts. Those will be a big help for using the program. That's it! A chartplotter for $40. HoboSailor style!